Photography is always fun either way, taking or being taken. We had a great time at Dumbo this week having a photo shoot showing off the new jewelry. 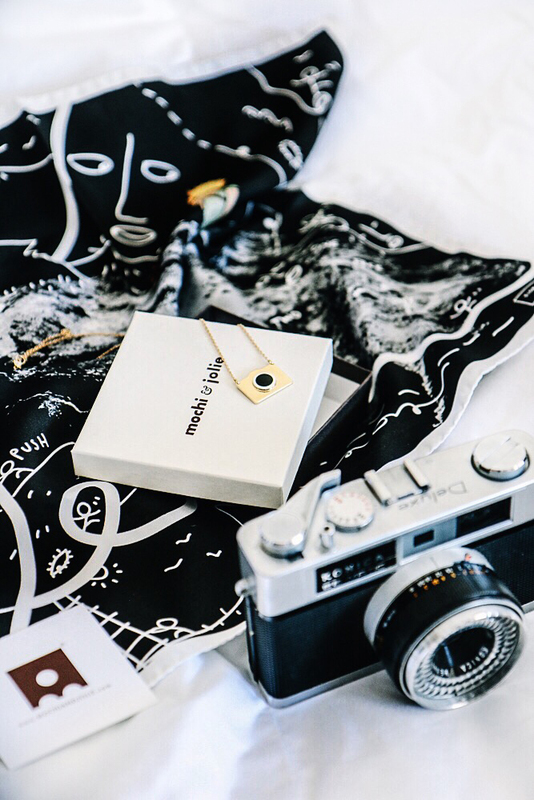 Mochi & Jolie's unique gold camera necklace really complements any style and definitely adds a bold touch to a casual look - especially if you have a old-fashioned camera. Lights, Camera, and be adorned!